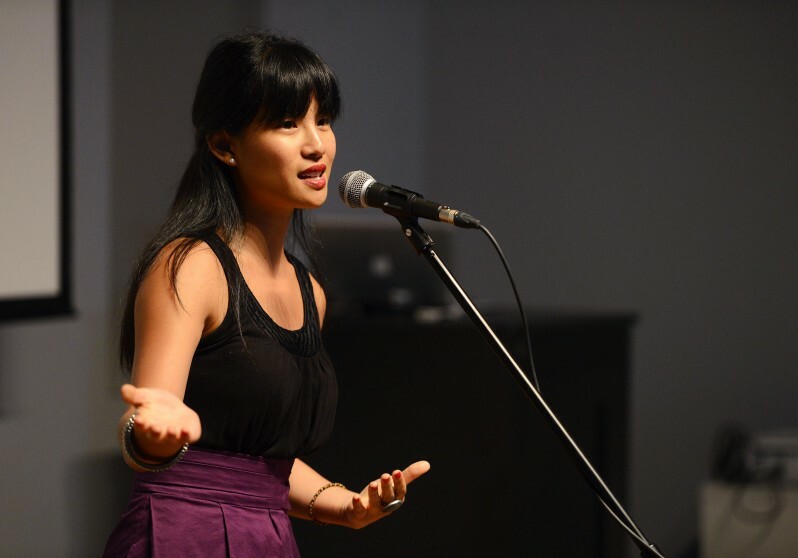 Vancouver Biennale Artist in Residence, Jenna Tenn-Yuk, will be collaborating with Vancouver artists for a night of spoken word poetry and music. For her Biennale residency, Jenna Tenn-Yuk, a poet and a spoken word artist, will be leading hands-on spoken word poetry workshops and events to create community dialogue, and explore the complexities of identity, spirituality and sexuality. Participants will have the opportunity to write, reflect and share their experiences out loud. They will also have the space to discuss issues they see among and between LGBTQ, Christian and feminist communities. Chris Tse is a Canadian spoken word poet of undeterminable descent. The 25-year-old, originally from Coquitlam, B.C., placed second at the 2011 Poetry Slam World Cup and captained Ottawa’s Capital Slam to a national championship in 2010. Most recently, he was crowned Toronto’s Up From The Roots Grand Slam Champion in 2013. He has performed on stages from Saskatoon to Paris to Kumasi, and his work has appeared on CBC, CTV, and in numerous newspapers across the country. Tse has produced a book of poetry and an EP, both entitled An Ode to My Afro, and is currently working on a poem-picture book entitled The Man at the Top of the World. He is one half of the poetry duo PinkoTse, a touring show comprised of Tse and Edmonton’s Poet Laureate, Mary Pinkoski. Tse currently works as a motivational speaker and leadership facilitator for Free The Children and Me to We. Samantha Chan is a musician, and lover of life and soul music. Leah Horlick is a writer and poet from Treaty Six Cree territory, Saskatoon. Her first collection of poetry, Riot Lung, was shortlisted for a 2013 ReLit Award and a Saskatchewan Book Award. She currently lives on Unceded Coast Salish Territories and co-organizes REVERB, Vancouver’s only queer and anti-oppressive reading series.